April 2nd is the Worldwide Autism Awareness Day! As a newly introduced duo of heroes and our very first villain, we also introduce the amazing minds and talents within the spectrum of Autism. 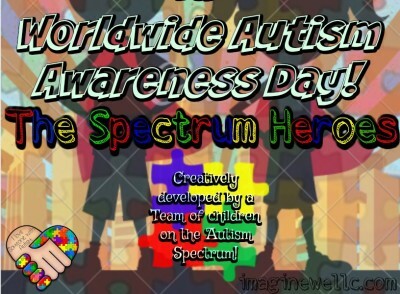 In recognition and celebration of Worldwide Autism Awareness Day on April 2nd, ImagineWe will bring in its first children’s book created by a group of autistic children who are remarkable. 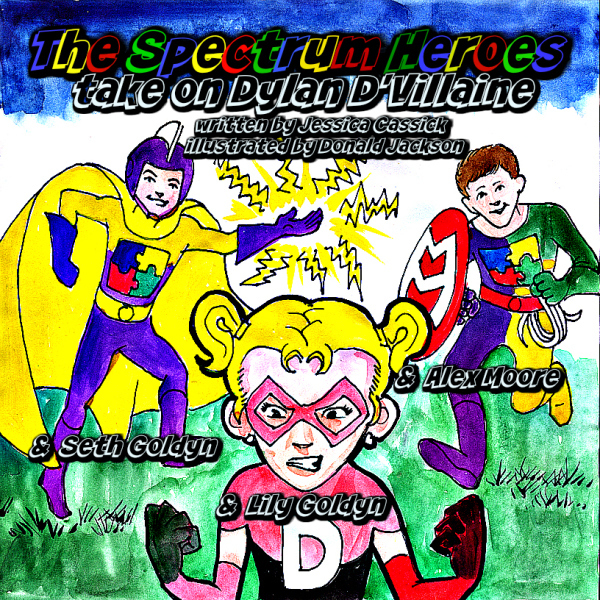 In our first Spectrum Heroes book, we dive into the villain world of Dylan D’Villaine as she tries to wreak havoc in the town’s lives. Not being able to figure out the key to her glitter potion, she comes up from underground to show everyone her new toy and unravel her new master plan. While the Spectrum Heroes are dealing with one of their fans problems with a bully, they must come face to face with their arch nemesis, Dylan D’Villaine…or else!